This is a three hundred and fifty room hotel complex, opening October 2004, complete with 22,000 s.f. conference center, restaurant, and swimming facilities. 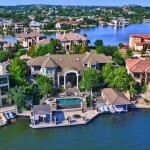 It is located in the heart of Horseshoe Bay Resort on Lake LBJ. Willis Environmental Engineering, Inc. responsibilities were to design all parking lot layouts for parking spaces, drainage, streets and boulevard design, water and waste water utilities with a major lift station, established finish floor elevations and storm water pollution prevention plan.